Anaklia Development Consortium consists of a specialized firms with diverse backgrounds, which together form a global business leadership team that will work with the Government of Georgia to construct the port of Anaklia. ADC is a consortium which consists of TBC Holding from Georgia, Conti International from the United States, SSA Marine from the United States, British Wondernet Express working in Central Asia, and G-Star Ltd. from Bulgaria. ADC’s leaders are proactive, resourceful entrepreneurs with an exceptional track record of ethical business conduct. ADC has established a framework of preliminary agreements with diverse global players in port and transport infrastructure, ensuring Anaklia Port’s long-term success. TBC Holding (Georgia) is an international entrepreneur and developer, as well as group affiliate of one of Georgia’s largest banks which is listed on the London Stock Exchange. TBC Holding acts as a project developer and principle partner of Anaklia Development Consortium. Conti International (USA), which was founded in 1906 and is the designer of capital asset projects, with an exceptional construction management track record, oversees the development for the concession and acts as Program Manager (All construction related works are performed by local and international constructors). Conti International acts as a project developer and principle partner of Anaklia Development Consortium. ADC’s vision for the Anaklia Port is to create a world class port complex for Georgia and establish Anaklia as a focal point of trade to and from Central Asia and on the New Silk Road trade route between China and Europe. ADC’s goal for the Anaklia Port is to improve port infrastructure in Georgia, thereby providing reduced costs for those who use the port and subsequently improving economic opportunities regionally and domestically. TBC Holding (Georgia), is one of the companies within the larger TBC Group. Affiliated companies successfully operate in various business sectors including financial services, real estate, FMCG, education and agriculture. TBC Holding is a group affiliate of Georgia’s largest banks and which is listed on the London Stock Exchange. TBC Holding acts as a project developer and a principle partner of Anaklia Development Consortium. Conti International (USA), which was founded in 1906 and is the designer of capital asset projects, with an exceptional construction management track record, oversees the development for the concession and acts as Program Manager (All construction related works will be performed by local and international constructors). Conti International acts as a project developer and a principle partner of Anaklia Development Consortium. 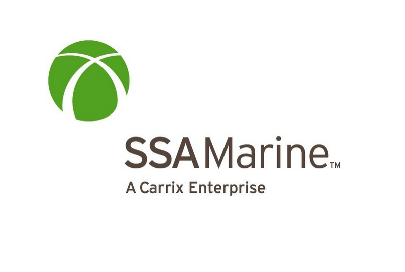 SSA Marine is one of the largest terminal operators in the world and has its headquarters in Seattle, WA, U.S.A. The company oversees more than 250 strategic operations across five continents, servicing 27.2 million containers (TEU) and managing terminals in nine different countries. In addition, SSA Marine handles over 75 million tons of dry bulk globally, manages cruise ship operations in Mexico and the United States and operates over 30 intermodal rail ramps for U.S. Class I railroads. Wondernet Express, an interregional company with offices in Uzbekistan, Georgia, Kazakhstan and Azerbaijan, carries out its main activities in transportation and complex forwarding services of export-import and transit cargo by rail and other modes of transportation on the territory of CIS countries and the Baltic states, in particular, Georgia, Azerbaijan, Kazakhstan, Latvia, Lithuania, Tajikistan, Turkmenistan, Uzbekistan and Estonia. G-Star Ltd., is a company situated in Bulgaria with various businesses globally through its subsidiaries, including but not limited to Forex operations and investments in real estate projects. Maritime & Transport Business Solutions (MTBS) is an international finance and transaction advisory firm offering entrepreneurial business solutions to clients in the maritime and transport sector. MTBS provides leading expertise in port planning, traffic forecast, PPP implementation, container terminal transactions, business case, valuation and raising of finances. MTBS has provided a full-scale traffic study, master plan and financial advisory to Anaklia Development Consortium. Van Oord ,a dutch family-owned company with over 150 years of experience as an international marine contractor, has carried out the feasibility study for the Anaklia Deep Sea Port project. The feasibility study included the following: a work plan for feasibility studies & a detailed work schedule, bathymetry and geophysical survey, site topography and aerial mapping, coastal data collection, geotechnical subsoil investigation and interim studies and surveys. Royal HaskoningDHV ,which has been connecting people for 135 years, is an independent international engineering and project management company. Royal HaskoningDHV delivers services in the fields of aviation, construction, energy, industry, infrastructure, maritime, mining, transport, urban and rural development and water. They have provided a preliminary marine design and full-scale ESIA and EIA studies for the Anaklia Deep Sea Port project. 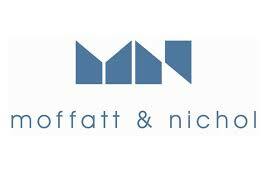 Moffat & Nichol is a global infrastructure advisory firm with 36 offices in 7 countries, which provides practical solutions to clients in the marine terminal, transportation, energy, environmental, federal and urban development markets around the world. They drew up the preliminary design (combining marine and landside designs) in its entirety for the Anaklia Deep Sea Port project. The preliminary design completed by Moffat & Nichol was submitted to the Government of Georgia (GoG). Mr. Mamuka Khazaradze is a successful leader in Georgia who has distinguished himself as a businessman and as an avid supporter of Georgian culture and traditions. Mr. Khazaradze pioneered the creation of the Georgian banking industry by founding TBC Holding and JSC TBC Bank where he serves as the Chairman of the Supervisory Board. Mr. Khazaradze has also successfully founded several Georgian businesses. These include the Georgian Glass and Mineral Water Company, producer and exporter of the world-famous mineral water brand, Borjomi. In addition, with his partners he founded the Georgian Reconstruction and Development Company (GRDC), a leading real estate firm in Georgia, and also founded and served as Chairman of the Board of the Lisi Lake Development Company. Mr. Khazaradze is a graduate of Tbilisi Technical University, with a Bachelor of Science degree in Engineering (before working as an engineer at the Projecting-Technological Scientific Research Institute). He is a Harvard University Business School 2000 alumnus of the Owner/President Management Program. Mr. Kurt Conti is recognized as a visionary in the development, real estate and infrastructure industries, Mr. Conti has worked closely with the domestic and international investment community to skillfully grow businesses and startup ventures in the United States and in emerging markets worldwide. Mr. Conti became CEO and President in 1995 and has since expanded to serve sovereign nations and work with Fortune 500 firms. Under his guidance, Conti has completed over $4 billion in projects in 14 countries in the infrastructure, energy, industrial, environmental and security markets. He has been the Project Executive for award-winning transformational work characterized by demanding schedules and first-of-its-kind deal structures. His expertise encompasses project development from strategic planning and capital financing, to engineering, construction and asset management. An honors graduate in Civil Engineering from Villanova University in Pennsylvania, Mr. Conti received the College of Engineering’s Alumni Award for Outstanding Leadership in 2012. He is a Harvard University Business School 2000 alumnus of the Owner/President Management Program and a 2012 recipient of Ernst & Young’s prestigious Entrepreneur of the Year award. Mr. Levan Akhvlediani was appointed as the CEO of the Anaklia Development Consortium in September 2014, and has been involved in development of projects since mid-2013. He has 10 years of experience in corporate and project finance, and has held senior leadership positions at various companies within TBC Holding, an affiliate of one of the largest Georgian banks, TBC Bank. He served as CEO of TBC Holding, leading various project development initiatives. Prior to this, he was the Chief Investment Officer in Georgia of Gazelle Finance, an SME focused impact investment fund. Prior to Gazelle Finance, he co-founded and served as the Managing Director of Kagri Ltd. Hong Kong, concentrating on agricultural commodity trading from the CIS region to Southeast Asia. Prior to Kagri, he was the Chief Financial Officer for TBC Holding’s Georgian Reconstruction and Development Company (GRDC) with a $60M asset portfolio, managing the finance department and gaining extensive experience in capital formation, project finance, real estate project development, and asset management. Prior to GRDC, he served as the Executive Director at TBC Holding’s New Construction Company, a leading construction company in Georgia. Mr. Akhvlediani holds a Bachelor degree in Business Administration with a concentration in finance from The George Washington University in Washington, DC. With 17 years and counting of management experience including 7 years of dedication to Georgia’s public sector as a senior executive, Ms. Keti Bochorishvili has successfully served as vice minister of Ministry of Economy and Sustainable Development of Georgia, under four consecutive leaderships of two democratically elected governments. Her area of work has included Economic Policy, FDI Attraction, SME Sector Development, Export Promotion and Development, Tourism Development, R&D, National and International Promotion Campaigns. Ms. Bochorishvili has an impressive record of cooperation with all leading International Financial Institutions and International Organizations through development and implementation of multimillion-dollar economic development programs. Ms. Bochorishvili holds a MA degree in International Public Management from SDA Bocconi School of Management (Milan, Italy) and BA/MA degrees in International Conflict Resolution from Georgian Technical University. She has several intercultural experiences and developed her entrepreneurial skills by participating in programs at Georgetown University (USA), the Iacocca Institute (USA) and Charles University (Czech Republic). In her capacity as CEO of JSC Anaklia City, Ms. Bochorishvili aims to develop the Special Economic Zone on a city scale, followed by the deep sea port, encompassing such economic clusters as logistics, light manufacturing, tourism and hospitality and other services. Mr. Ronny Solberg was appointed as the CEO of Construction Management in Anaklia Development Consortium in August 2017. Mr. Solberg has 20 years of experience as CEO in various industrial businesses and construction projects. He started his career as an officer in the Norwegian Royal Navy on various types of vessels as Chief Engineer. He has been CEO for DaimlerChrysler Rail Systems in Norway, developing high speed trains, CEO for Eltel Networks in Norway construction transmission lines and telecom infrastructure and CEO for Clemens Kraft, developing hydro power projects. Starting in 2015 he has been heading Adjaritsqali Georgia as CEO constructing one of the largest hydropower plants in the country with an investment of 416 million USD. Mr. Solberg holds a Master's degree in mechanical engineering from Norwegian Technical University and Bachelor's degree in finance from Trondheim Economical University. Mr. Zurab Pichkhaia joined the Anaklia Development Consortium in November 2015. Prior to that, he acted as Deputy Chief Risk Officer at TBC Bank and was in charge of enterprise risk management and strategic projects. Mr. Pichkhaia also served as the Deputy Chief Financial Officer at TBC Bank overseeing the bank’s financial risk management, profitability analysis and reporting functions. Earlier in his career, he held various positions in credit, underwriting and internal audit at VTB Bank Georgia, Bank Republic Société Générale Group and PrivatBank Georgia. Mr. Pichkhaia holds a Bachelor's degree in Economics and a Master's degree in Business Administration (MBA) from the Georgian Technical University. In addition, he holds an MBA degree with a major in Finance from the University of Pennsylvania’s Wharton Business School. Ms. Vanda Kakiashvili joined the Anaklia Development Consortium as Chief Legal Officer in January 2016. Her prior work experience includes 11 years with TBC Bank, one of the largest banks operating in the Republic of Georgia, where she started as a Senior Transactional Lawyer and eventually took up a position as the Deputy General Counsel. During this time she worked on corporate finance law matters, numerous debt and equity capital markets transactions, mergers and acquisitions, as well as the Initial Public Offering (IPO) of TBC Bank’s securities on the Main Market, London Stock Exchange, in June 2014. Before joining TBC Bank, Ms. Kakiashvili served as Head of the Department of International Law and International Relations at the Ministry of Justice of Georgia. Prior to that, she worked as a legal advisor for several USAID funded projects in Georgia, focusing on legal and regulatory reforms, designed to remove obstacles to the business development in the country. Ms. Kakiashvili earned undergraduate degrees in Law and in International Relations from Tbilisi State University in Georgia, and holds a graduate degree in Law (LLM) from the Central European University in Hungary. Ms. Ani Kvaratskhelia is a Deputy CEO at Anaklia City JSC. Ms. Kvaratskhelia’s career consists of 10 years of experience in economic development projects with government, private and international organizations with an emphasis on private sector development. Throughout her professional journey, she has been actively involved in entrepreneurship, agriculture aid, FDI and export promotion. During recent years, she co-authored strategic papers in all of her areas of expertise. Over the course of the last 2 years working as the CEO of Enterprise Georgia, Ms. Kvaratskhelia has managed an organization of up to 50 employees with a yearly budget of 40 million ₾. Among her achievements are the successful development and implementation of SME assistance programs like Produce in Georgia, Host in Georgia, Film in Georgia, Trade with Georgia and Micro and Small Entrepreneurship Support program. These programs have boosted entrepreneurial ecosystem development with outstanding chart figures since her first year of assistance. Her impact can be measured by 15,000 new jobs and 0.5₾ billion worth of investments leveraged by the private sector. Her career is complemented by a dual MBA degree (2010 with honors) in Finance and Entrepreneurship from the University of Missouri Kansas City (USA). Mr. Giorgi Chugoshvili serves as a CFO in Anaklia City JSC. He is also actively involved in the Anaklia Deep Sea Port development project’s strategic planning and financial valuation processes. Mr. Giorgi Chugoshvili’s career comprises more than 7 years of experience in the banking, software development, commodity trading and infrastructure development sectors. Prior to joining the company, he held the position of CFO at Extol Trading Ltd., a commodity trading company with 300 million in annual turnover and operations in Georgia and CIS countries. Before 2014 he oversaw the Business Intelligence Division at Alta Software, a leading core banking system developer in the region, developing innovative analytical tools for 70% of the Georgian banking sector. He began his career in the finance division of the TBC Bank JSC, the largest bank in Georgia, listed on the London Stock Exchange premium listing, where he was responsible for the development and implementation of profitability, cost accounting, reporting and transfer pricing policies. Mr. Chugoshvili’s education background is in finance and business administration, in which he holds a Bachelor’s degree with Free University of Tbilisi (ESM). Hehas attended multiple training sessions in finance, management and port development. Mr. Nika Khazaradze joined the Anaklia Development Consortium in 2014. His current role spans from financial analysis to container market and logistics market research. Prior to carrying out these tasks, he undertook a full and comprehensive internship at Ernst & Young’s Tbilisi office in the Assurance Department. During his time there, he was involved in auditing the main industrial and utility companies operating on the Georgian market. In addition, he has worked extensively in Conti’s head office, located near New York City. Mr.Khazaradze holds a Bachelor's degree in Management from the University of St. Andrews in Scotland, with a concentration in Corporate Finance and Capital Markets. He graduated with Honors and has been an active participant in entrepreneurial workshops held under the university’s School of Management. Mr. Giorgi Tsurtsumia joined the Anaklia Development Consortium in 2014. Previously, he held management positions as a Platoon Commander in the Georgian Armed Forces Engineering Brigade. Prior to that, he completed an internship as an Assistant Project Engineer on a major $120 million Conti construction infrastructure project in the United States where he was in charge of procurement and buyout of materials. Mr. Tsurtsumia holds a Bachelor's degree in Ocean Engineering with a concentration in Coastal Engineering from the United States Naval Academy in Annapolis, Maryland. His senior academic Capstone research solved the erosion problem on the historic site of Roanoke Island. The design incorporated a hybrid coastal structure and was nominated as the best research project of the University’s Ocean Engineering Department. Also during his time in the Academy, he was one of the directors of Naval Academy Foreign Affairs Conference (NAFAC), the leading undergraduate conference in the United States discussing current global economic and political affairs. The keynote speaker was President Bill Clinton.